Allyson has been a member of Physical Therapy Associates since October 2015. Prior to receiving her doctorate in physical therapy from the University of Kentucky in 2010, Allyson gained invaluable experience in various internships across the globe, including the Mayo Clinic in Minnesota and an assignment in Tugun, Australia. Following her internships, she pursued further training, completing the Orthopaedic and Practice Management Residency with Louisiana State University in 2012. She has been a member of the KPTA and APTA sine 2007. 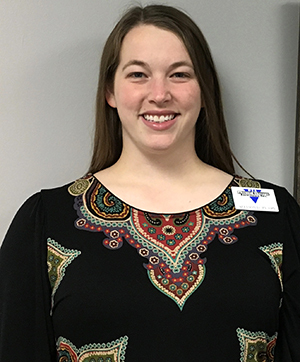 When asked about her decision to become a physical therapist, Allyson says, "My own personal experience with a knee injury was God's pathway for me to this great career. I was so inspired to go from sitting on the bench to getting back in the game that I wanted to provide others with the same help." Allyson treasures the time she spends with her family, including eleven nieces and nephews. She married the love of her life, Eraldo , whom she met on a mission trip in Brazil and they have one son. Allyson loves traveling, taking road trips, and roller blading with her husband. A self-proclaimed music enthusiast, Allyson also enjoys playing the piano and singing along with the radio. She enjoys God's beautiful creations while spending time hiking and kayaking.